Are you new to sewing or looking for a refresher? 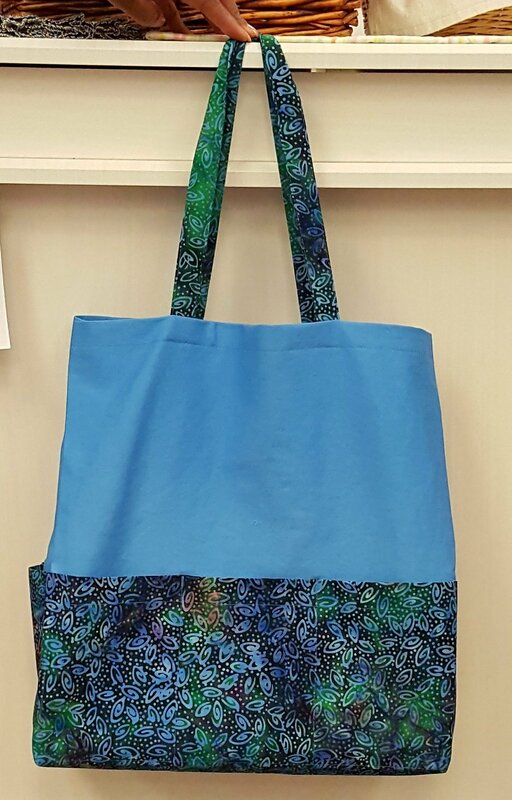 Sewing Basics will introduce you to the inspiring world of sewing while you create this versatile Ten Pocket Tote. Class will begin by familiarizing you with the basics of your sewing machine as you learn the mechanics, practice threading, how to wind a bobbin and use seam guides to sew simple seams. After you have selected your fabrics, you will then proceed to cut out your tote using both patterns and rulers. Sewing techniques will include simple seams and hems, seam finishes, topstitching and tips for accurate sewing. Pattie will also demonstrate quick seam finishes, handle variations, easy embellishments and optional closures. Class fee includes fabric and thread for tote. plus supplies. Class fee includes fabric and thread for tote. Materials Included: kit contains fabric and thread for tote.